New to Kayaking & Canoeing? 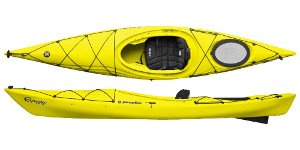 So you are thinking about buying a kayak or a canoe, but don’t know where to start? There are many different types of canoes and kayaks and you will need a boat that is suitable for the conditions and type of paddling you intend to do. There are a couple of questions to consider when buying a canoe or kayak which will help you decide what type of boat would suit you best. Where/what type of paddling will you be doing? i.e. Sea kayaking, touring, fishing, surfing, white water, playboating. How many people will be using the canoe / kayak / sit on top? Will you need storage space in the boat for longer/overnight trips? How easily can you load, transport and store a kayak, should you consider an inflatable kayak? Now that you know the answer to these questions you can narrow down which type of boat will suit your needs. A sit on top kayak is ideal for beginners, families and children. These boats are great for having a bit of fun on rivers and the sea as they are very stable and easy to paddle. There is no worry about being trapped in the boat as it is not enclosed. There are storage hatches in the hull of the boat and in the back. Sit on tops come as solo, tandem and three person boats, giving families the opportunity to go out together. There are angling versions of sit on top boats which are modified specifically for fishing equipment. 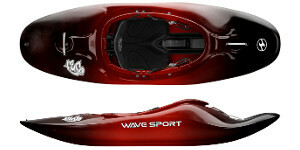 Inflatable kayaks are the perfect solution for those with storage and transportation issues. Inflatable kayaks deflate and fold down to an easily manageable size, fitting into even the smallest of car boots and tucking away when not needed. There are various different size models available to carry 1, 2 or 3 people. They are very stable but are best suited to sheltered inland waterway such as rivers, canals and lakes. Available in a variety of different specification to suit all needs and budgets. 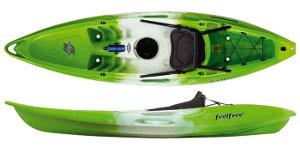 Ideal for calm coastal paddling, rivers and lakes, they have plenty of storage for equipment. They are fast through the water and easier to manoeuvre than the longer sea kayaks, they often come with a drop down rudder to improve tracking. Touring kayaks are available as both single and tandem boats. Traditional canoes are open topped with 1, 2, or 3 seats and paddled with a single bladed canoe paddle. They are typically much larger than kayaks and 14-17ft in length. They have a large carrying capacity so are ideal for families & groups as well as canoe camping trips. Best suited for use on sheltered water such as rivers, canals and lakes. Sea kayaks are designed to be very fast through the water, tracking well and cutting through waves for a smooth journey. They have a lot of storage in the hull of the boat and are ideal for long, overnight trips around the coast. They are available as single and tandem boats and can also be fitted with fishing accessories such as rod holders and fish finders. White water kayaks are much shorter than the sea and sit on top kayaks. 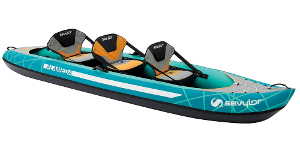 Designed to have the best paddler to boat contact they are very manoeuvrable, able to surf waves, eskimo role and perform play-boating tricks. They are intended for extreme white water rivers. These boats are for experienced paddlers only and require some training. Kayak paddles have a blade on each end. 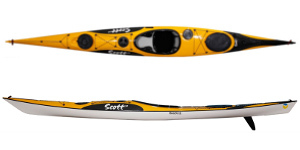 Sea kayak paddles are long with a thin blade designed to give you power through the water over a long period of time. White water paddles are much shorter as they are designed to give the paddler a lot of power to get through the rapids and drops. The shaft is made out of alloy or fibreglass while the blades are plastic. 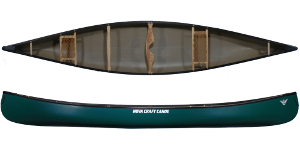 Canoe paddles have one blade and a t-grip handle. The blade shape is differently depending upon if you are paddling deep water, shallow water or even advanced white water.�These paddles are available in a number of different materials from aluminium, plastic, wood and glass/carbon fibre. You will need clothing that keeps you warm and dry. You may also need boots and helmet to protect your feet and head. Cotton clothing is not suitable as you can get very cold when wet. Thermal and fleece materials are good even when wet. Many paddlers wear a wet suit (usually long john's) whilst others will choose dry tops and dry trousers. The British Canoe Union (BCU) recommend that you wear a buoyancy aid at ALL times (and so do we). Good training will make you safe and allow you to enjoy your paddling much more. It is worth joining a local canoe club or centre that provides training to the British Canoe Union (BCU) awards scheme. Here you will meet like-minded paddlers and make new friends. Click Here to check out our links to local canoe clubs, centres and coaching providers. Having got your canoe or kayak, you cannot paddle on any bit of water you find. Some inland water and canals require a license to paddle on them. Most inland water is controlled by 'access agreements', negotiated by the BCU, that MUST be complied with. Some areas in ports and harbours are also controlled. The sea coastline is largely accessible for paddling, but restrictions may apply in certain areas (naval areas and shipping lanes). If in doubt ask. Confused or have more Questions? Feel free to contact us for more information and unbiased advice. No purchase necessary. Call us on 01273 513200, email sales@brighton-canoes.co.uk or feel free to visit our Newhaven, East Sussex based Canoe Shop.